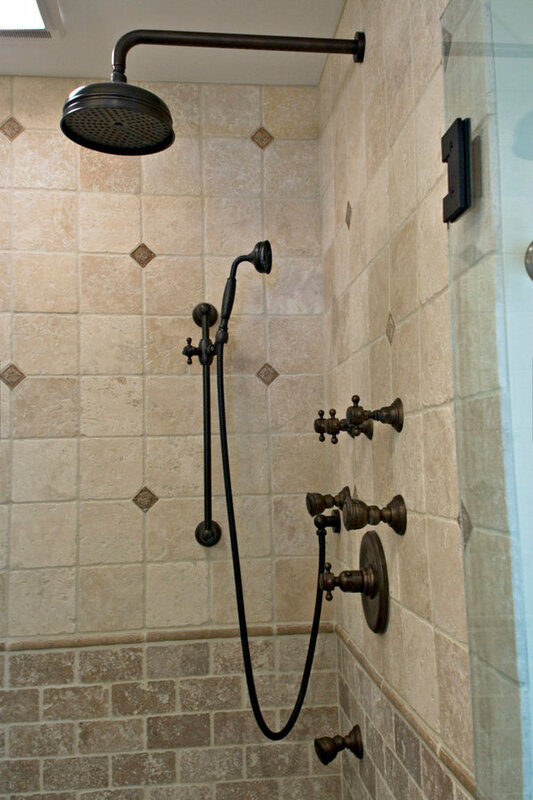 Mediterranean style is a beautiful blend of ornate detailing and rough organic stone work. 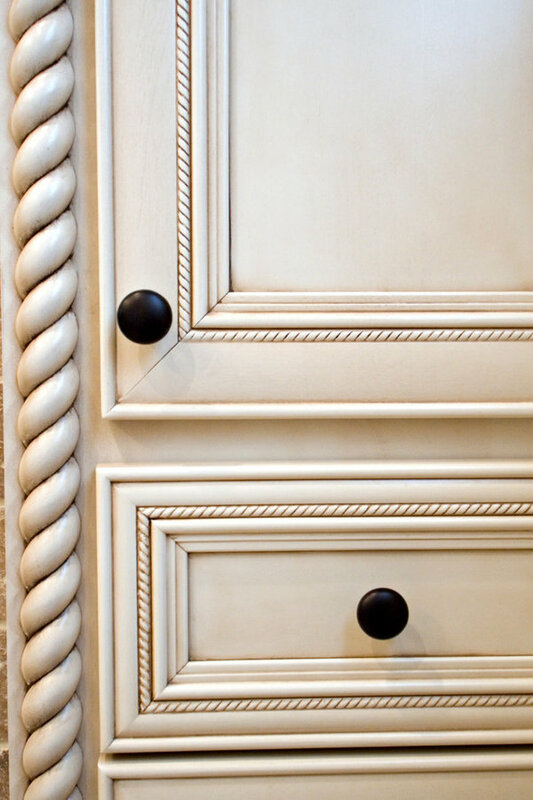 It's worn and rustic while still being sumptuous and refined. 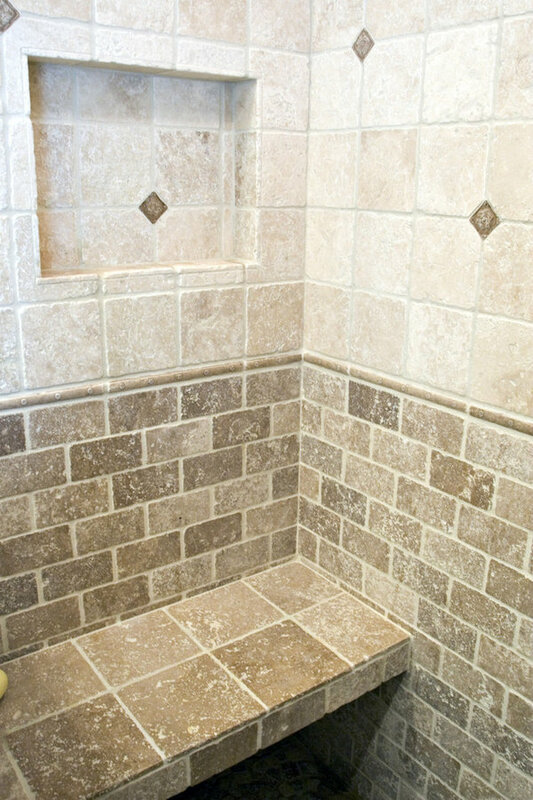 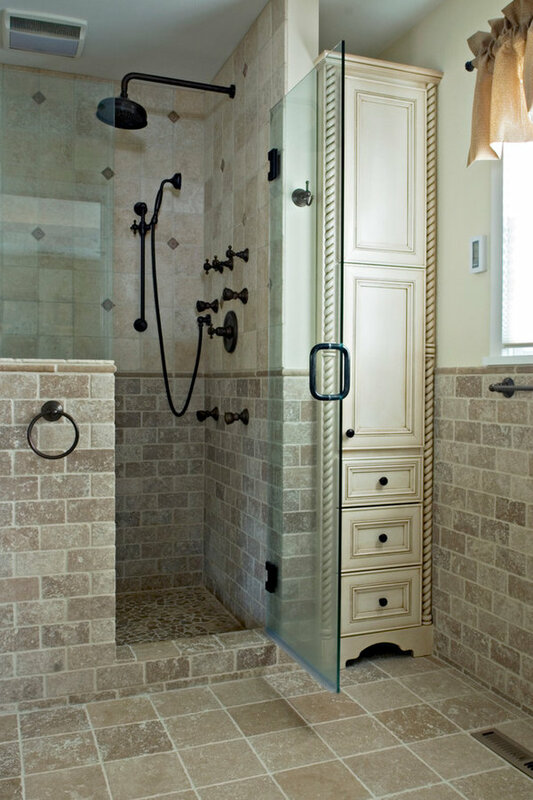 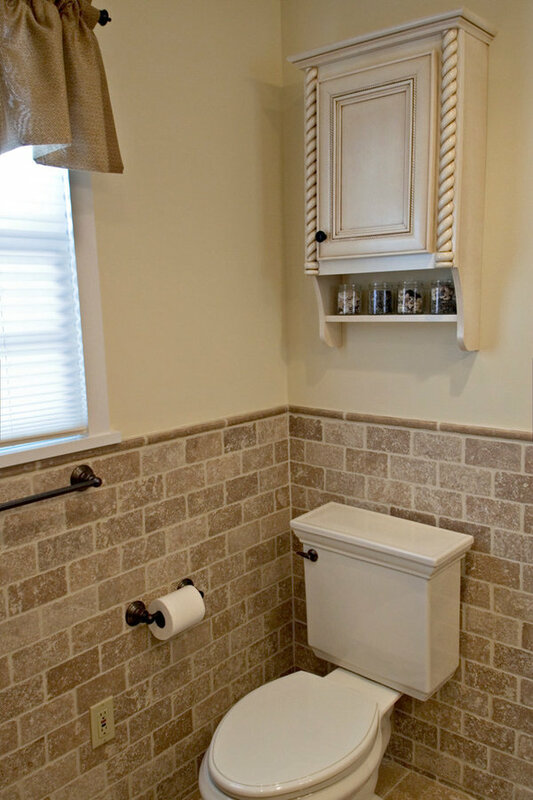 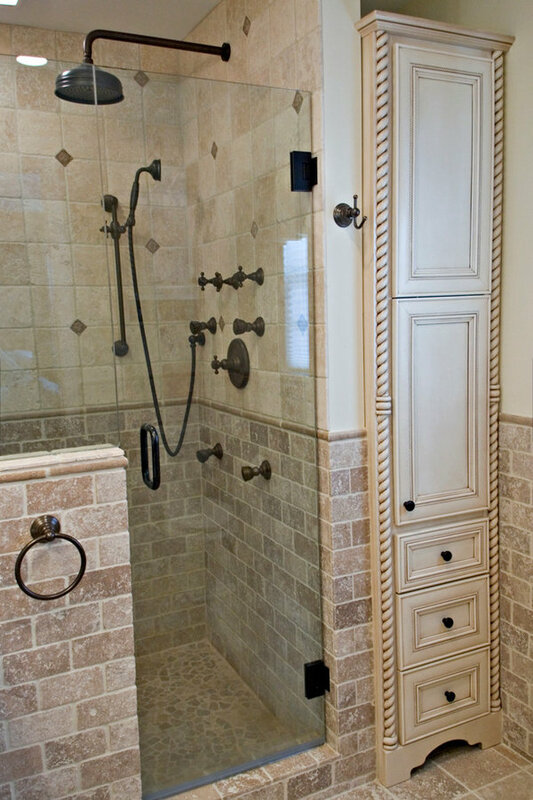 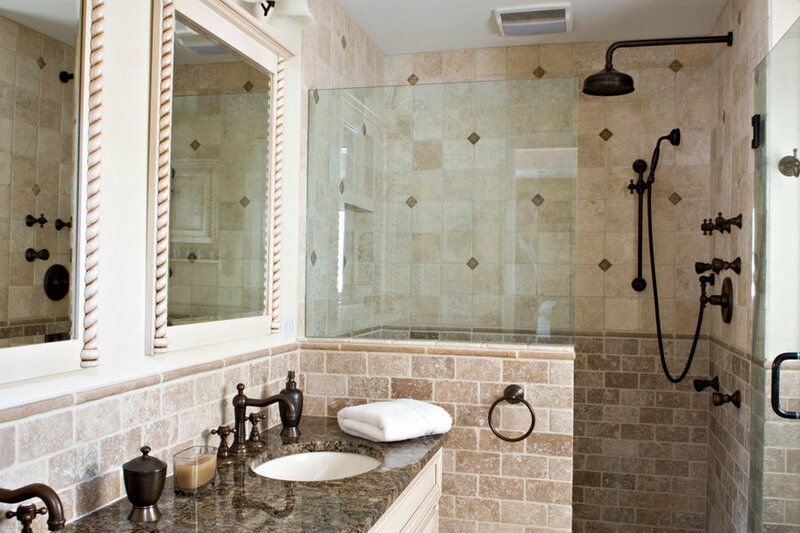 The details of this bathroom remodel combine all the right elements to create a comfortable and gorgeous space. 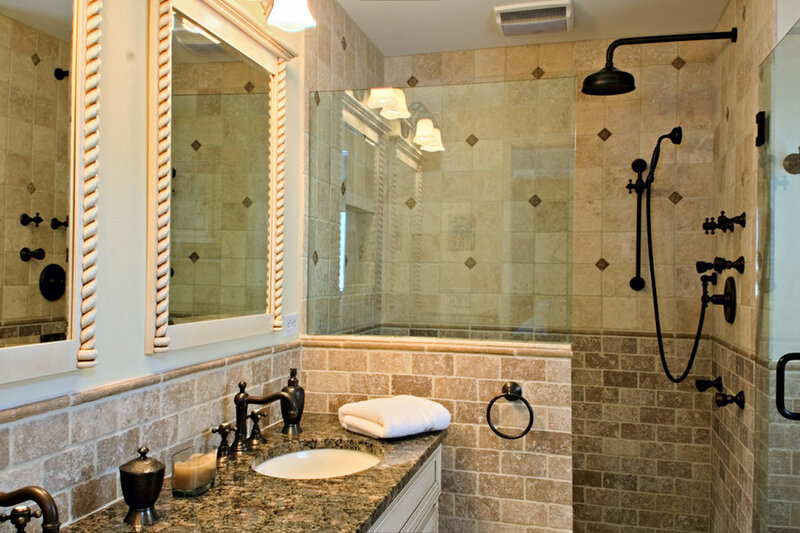 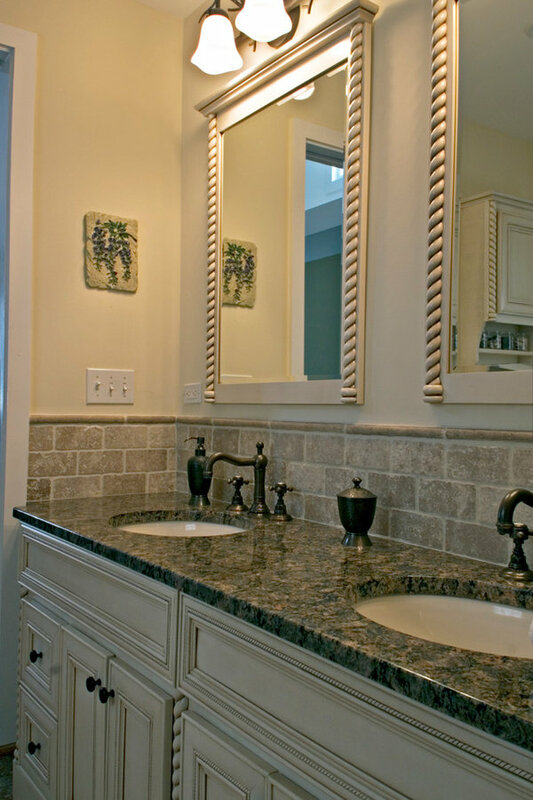 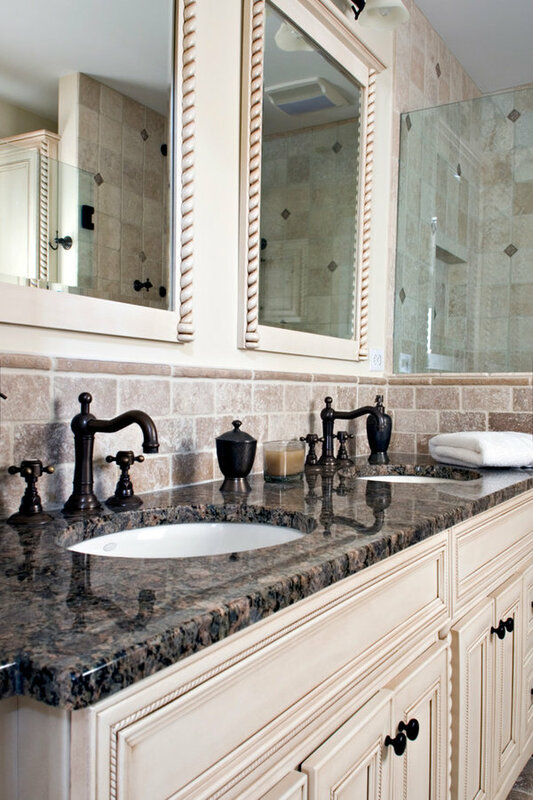 Tumbled stone mixed with scrolling cabinet details, oil-rubbed bronze mixed with the glazed cabinet finish and mottled granite in varying shades of brown are expertly mingled to create a bathroom that's truly a place to get away from the troubles of the day.